Can Small Employers Use HR Big Data? 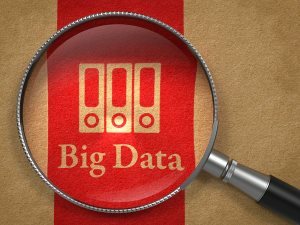 I recently came across a report by SilkRoad which shows that despite the big reputation of HR Big Data, (recently best advertised by Google who abandoned their famous brain teasers interview questions due to big data revelations), only 19 percent of companies will use big data for HR and include it in their HR strategy for 2014. In many ways, it does not surprise me, as big data is more instantly accessible to big business. Why? Because, for it to work it relies on you having thousands, evens millions of data points and for you to have an integrated, end-to-end talent management process, which is generally the preserve of medium-to-large sized businesses. Big data is not just about big number crunching (that comes later); it’s also about big thinking, about looking at the decisions and assumptions that you take for granted every day in your HR process and seeing if those decisions can be validated, informed or improved by the availability of big data. For example, for years you have may have been using a particular interview questioning style or a set of assessment tools and assumed that this is the best way to do things. How do you know that? How do you know that this assessment process or that approach actually works and yields the best recruits? Probationary periods? You use them, but do they work? Do employees who have probationary periods have better outcomes than those who don’t? Question all your assumptions. Do so called “job hoppers” or the unemployed (considered to be weak candidates by many) actually perform worse? Do those with great academics (considered to be strong prospects) actually perform better than those with weaker academics? This big data mindset is something that HR professionals can begin to deploy no matter what size their organizations. If you believe you have the data available but are simply under-resourced, pull in a big data intern to start crunching data and examining your HR decisions. Ability to work under unstructured conditions. For me, this is a clear snap shot into the future; a future where HR decision making processes are have become far more enlightened through big data. But, small businesses don’t just have to rely on off the self reports, such as the one mentioned; new providers are now starting to offer HR Big Data as a service, so you can go in and analyze a third party data set, which is relevant to your needs, and make big data analyses to support your own decision making. An example, is E-Quest Big Data for HR Service (released last year) . They are allowing you to access and mine their recruiting intelligence data set containing over 1.3 billion job board and social media performance statistics. As you can see, big data is not just about technology, big companies and big data sets; it starts with a state of mind that questions the assumptions about the way things are done now; one that is curious enough to find out the statistical answers to help them make more enlightened decisions. And this approach is open to all HR professionals, whether from big or small firms.